At Turin Epicurean Capital we are renown for being gelato connoisseurs because in fact, we all do have a real passion for gelato and ice cream in general. 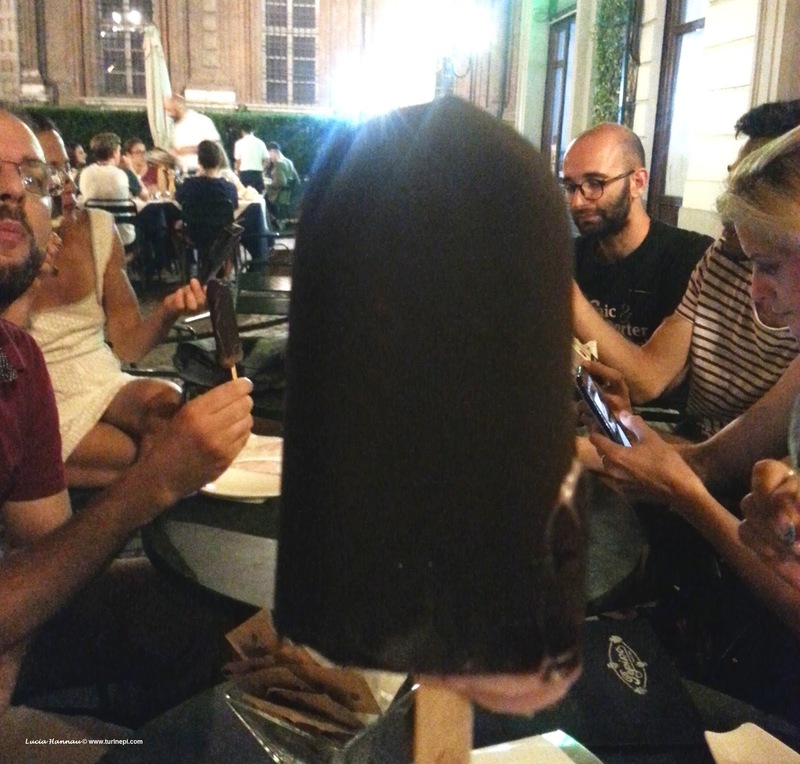 Very few people though know that Turin is really a gelato destination and that even famous industrial brands are actually just selling a mere copy of what was born right here: il pinguino! Yes, il pinguino or the penguin is the chocolate covered gelato on a stick that was invented at the historical gelateria Pepino in Turin, where Turin Epicurean Capital 2015 ended its goodbye dinner on July 23. 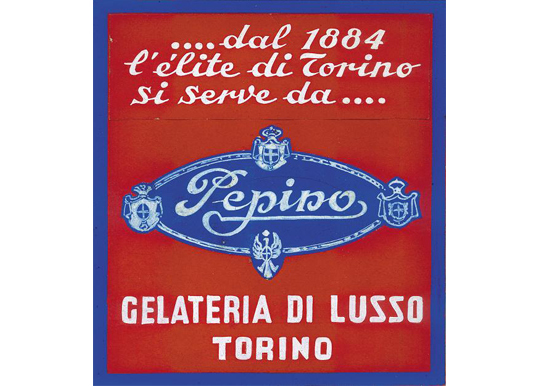 In Turin and all over Piedmont, Pepino's gelato has always been a symbol and a favorite of the royals who repeatedly awarded it between 1910 and 1932. 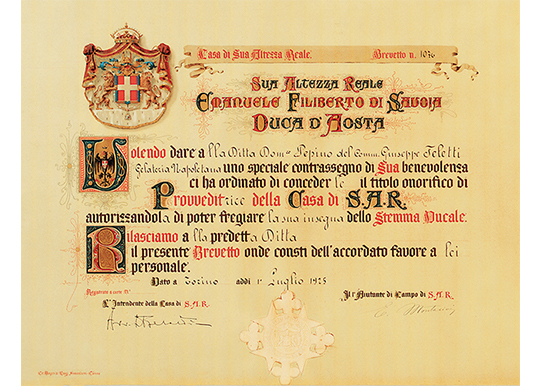 Yes in Turin, even the king liked gelato! What's the origin of Pepino's and its famous pinguino? 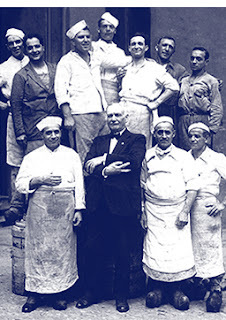 Legend has it that in 1884, Mr Domenico Pepino, a Neapolitan gelato maker came up to Turin and shortly established a successful vera gelateria artigiana - true artisan gelateria - as the sign stated on top of his Piazza Carignano business. In 1916 Mr Pepino sold his gelateria and trademark to the Cavagnino family who still owes Pepino's and its products. 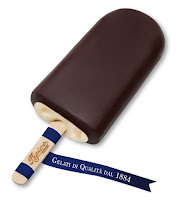 In 1939 the very first chocolate covered gelato on a stick was born and it was a real innovation since it could be eaten while strolling around the city center. 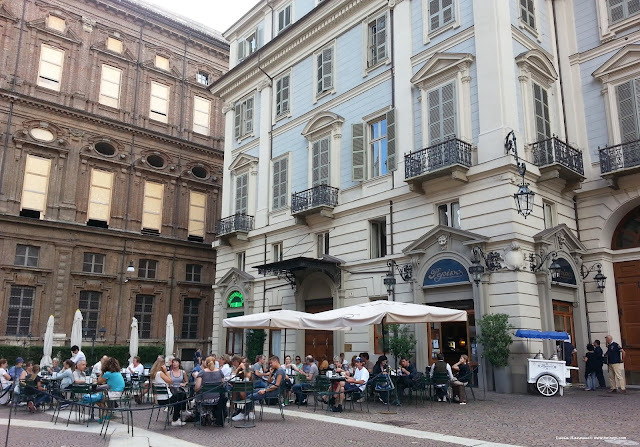 In fact, up to that moment, gelato was only eaten sitting at a table, in a nice metal or glass bowl, with or without a cookie, in one of the many elegant cafés downtown. 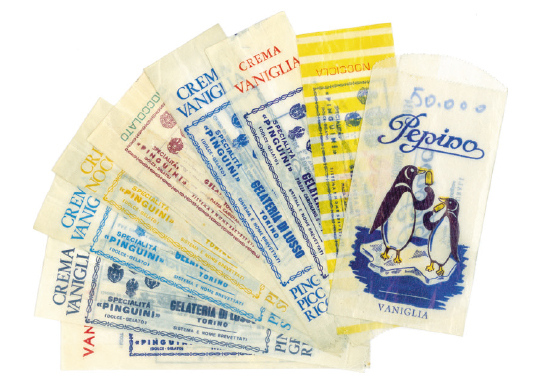 Nowadays, pinguino keeps its artisan recipe and production even though you can easily find it everywhere in Italy and in a few cities out of Italy. whenever you are in Turin, especially if you are tired, hot or cold, take your time to sit down in the peaceful Piazza Carignano, right in front of the very first Italian parliament, and fully savor a generous gelato cup. 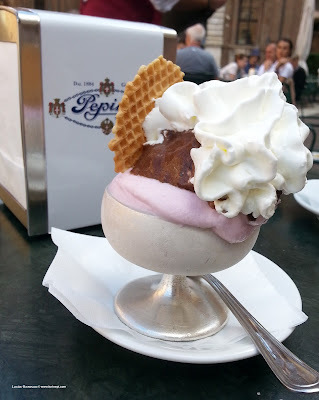 hazelnut, because even though in Turin there are many places who supposedly sell it, very very few taste like real hazelnuts, and Pepino's hazelnut gelato is definitely one of the few! Please note that Pepino also makes some gluten free and vegan flavors! Chef Federico Bellitti for graciously receiving us on July 23 and telling us the story of Pepino's and its pinguino!